17:15, Nov. 23, LUX room C126. We have chosen to show Abramovic documentary after seeing her exhibition “The Cleaner” at Louisiana art museum earlier this fall. 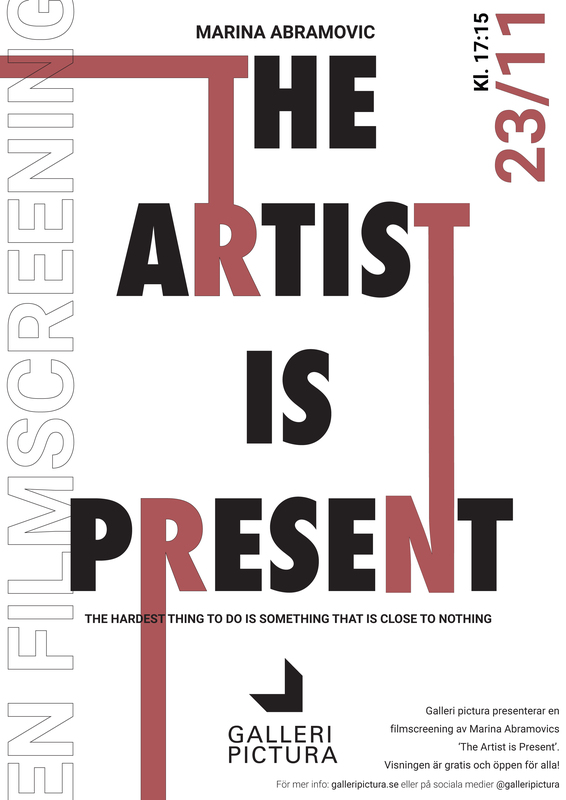 Whether you went with us or not to Louisiana, you are very welcome to the showing of this documentary that follows Abramovic while getting ready for a former exhibition she had in New York 2012, at The Museum of Modern Art, called “The Artist is Present”. Starting from 17.15, we will be serving popcorn and we will start the movie 17.30. Afterwards you are welcome to stay and discuss the movie and what we saw at Louisiana with us.